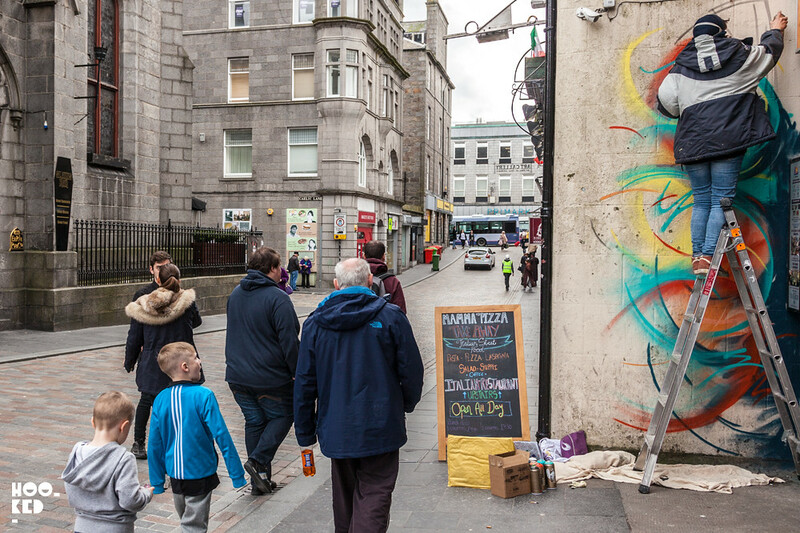 Hookedblog has been on tour again and this past weekend saw visit Scotland to bring you coverage from the very first edition of NuArt Aberdeen (Previously on Hookedblog). The team behind the highly successful Norwegian festival have been supported by business-led initiative Aberdeen Inspired and the Aberdeen city Council to stage the first edition of the street art festival in the U.K.
Over the Easter weekend, 11 international and national artists have been invited to transform some of the cities neglected walls and spaces with their works from large scale murals to smaller street level interventions. 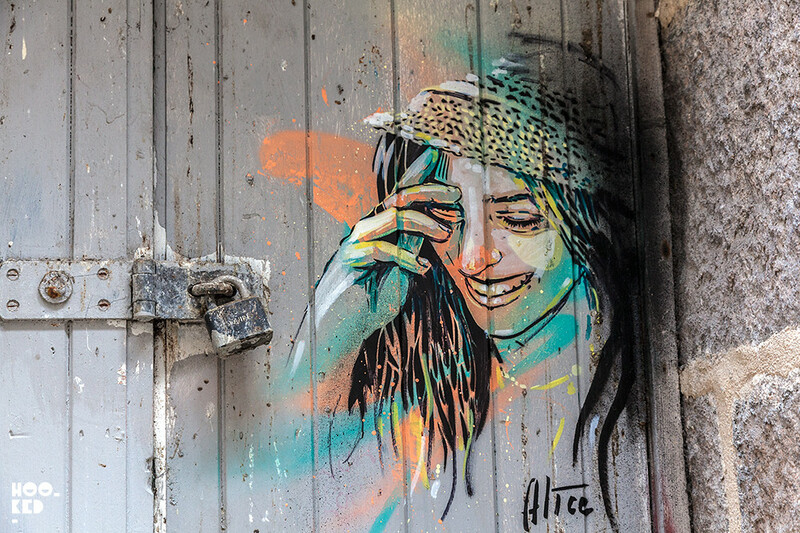 One of the invited festival artists was Italian street artist Alice Pasquini(Previously on Hookedblog). who worked across the city on a number of works during her Scottish visit. We arrived into town on Thursday ahead of the festivals weekend opening in the hope of catching some of the street artists at work on the wall. 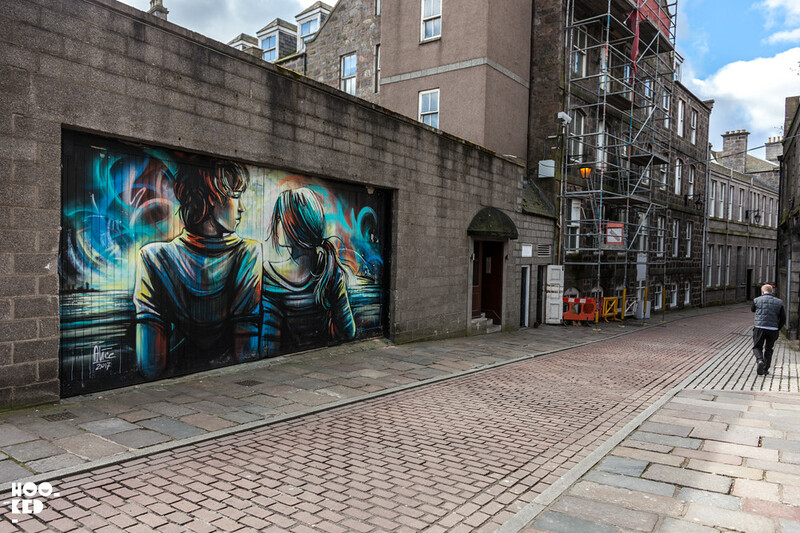 On our arrival in Aberdeen, Alice had already completed work on her larger scale mural on Ship Row along with a number of colourful smaller street level stencil pieces placed in the vicinity of the festival's central location The Green. 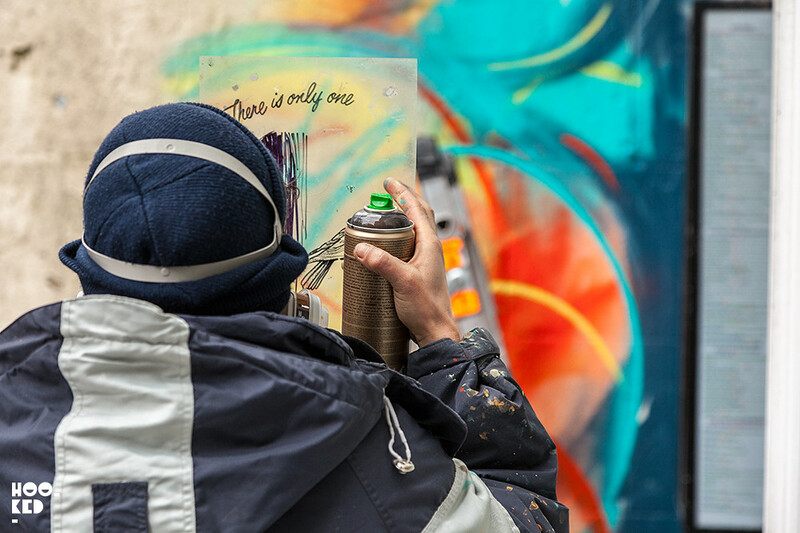 After a quick walk around to establish our bearings of the city it wasn't long before we located a number of the street artist's festival works which are pictured below. 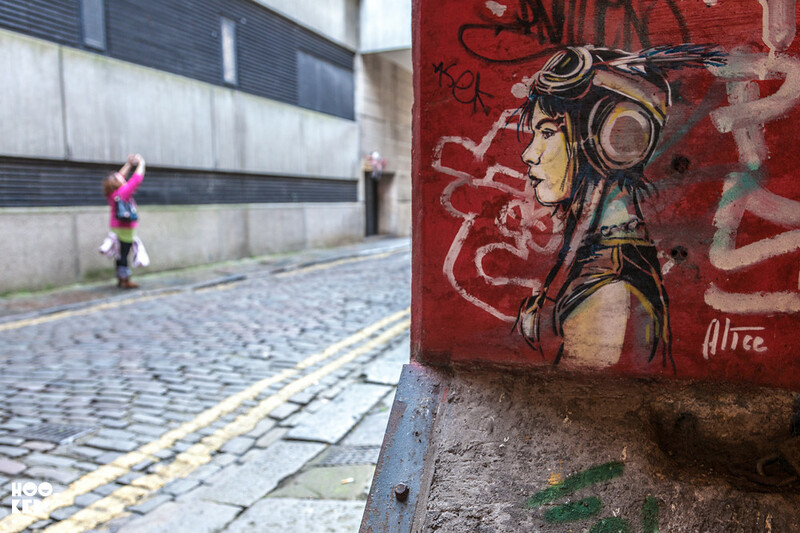 The first of four smaller stencil works by Alice, this one located on East Green in Aberdeen, Scotland. 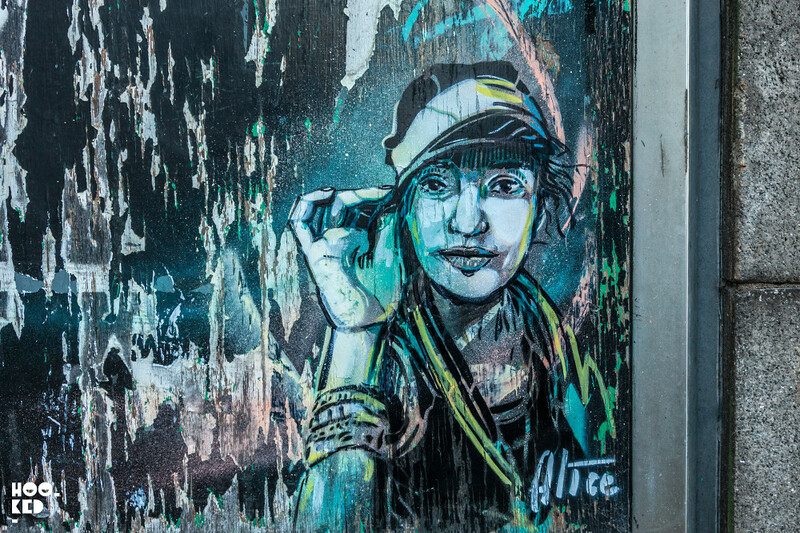 The second of Alice's works was a little more difficult to find and took us on a mini adventure of the Aberdeen streets in efforts to find it on one of the side streets. 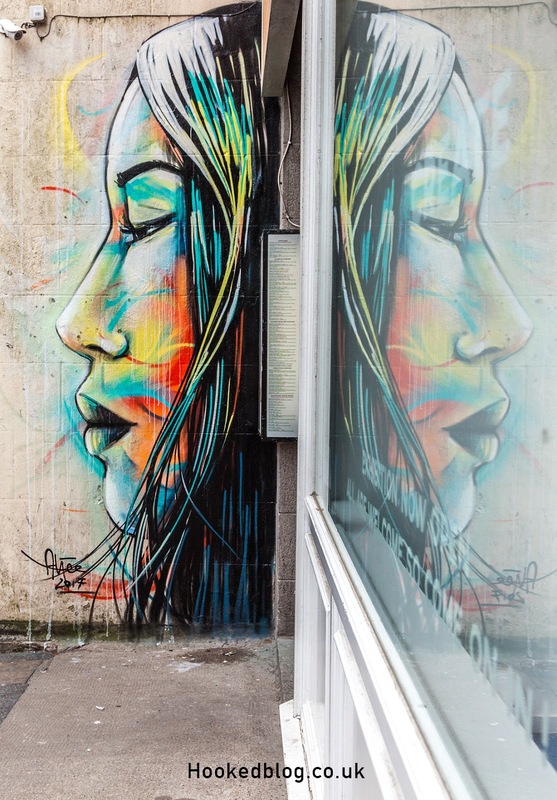 You can find this work on a door half way along Exchange Lane in Aberdeen, Scotland. The third stencil work by Alice located in The Green next to the Back Wynd Stairs that lead up to Union Street. 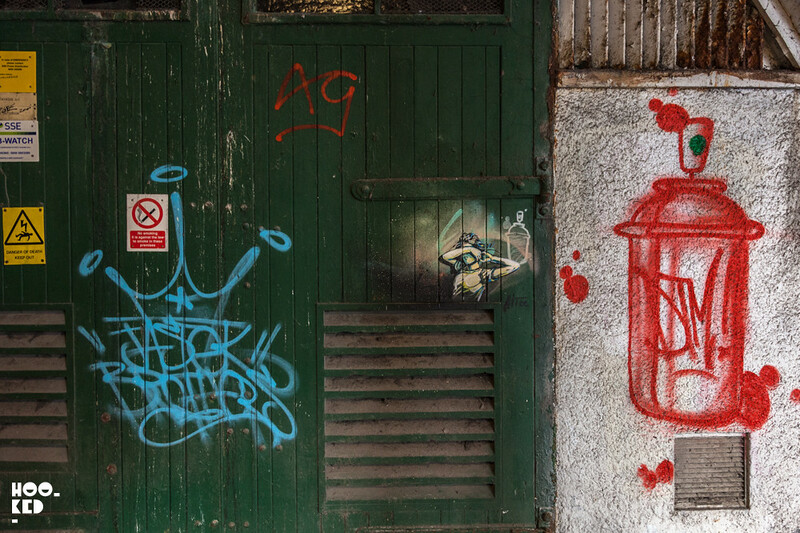 The fourth and final small work from Alice was also a little tricky to spot, painted onto one of the many doorways in the shadowy tunnels that run under Market Street. Below is the zoomed out version of the above work giving you an idea of the scale of the small stencil pieces and also a hint as to what door to look out for if you are trying to track this work down in person. 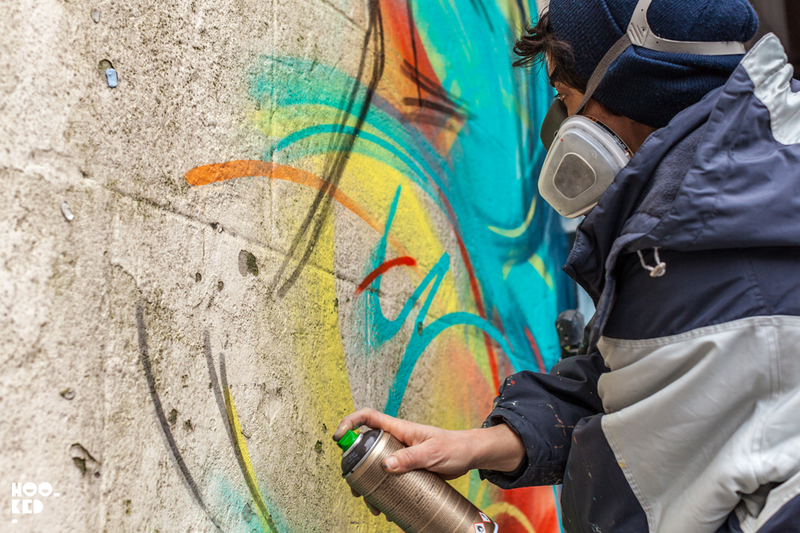 With an additional wall secured for the artist, we caught up with Alice along with Instagrafitie correspondent Juliie to watch the Italian street artist paint her sixth work for NuArt Aberdeen. 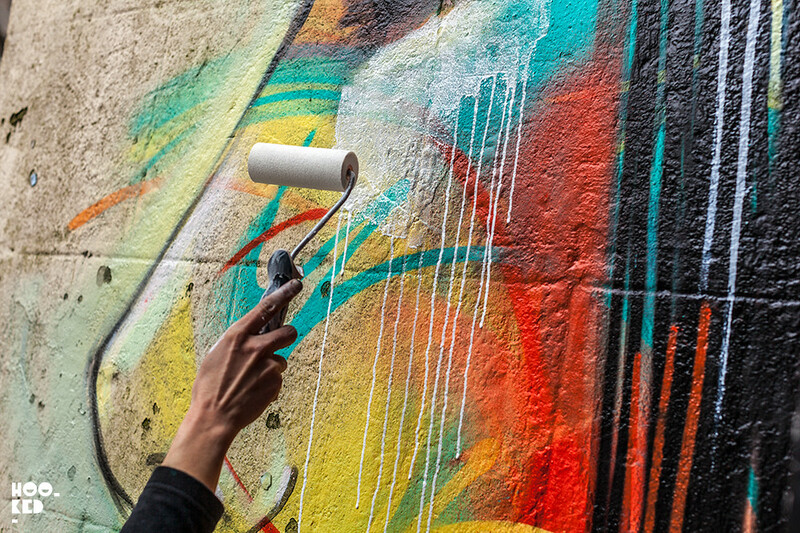 Located on Belmont Street in the heart of the city, Alice got to work on her street level mural attraction the attention of the cities bank holiday shoppers as they went about the weekend routines.Have a look a some of our action shots of Alice at work below. 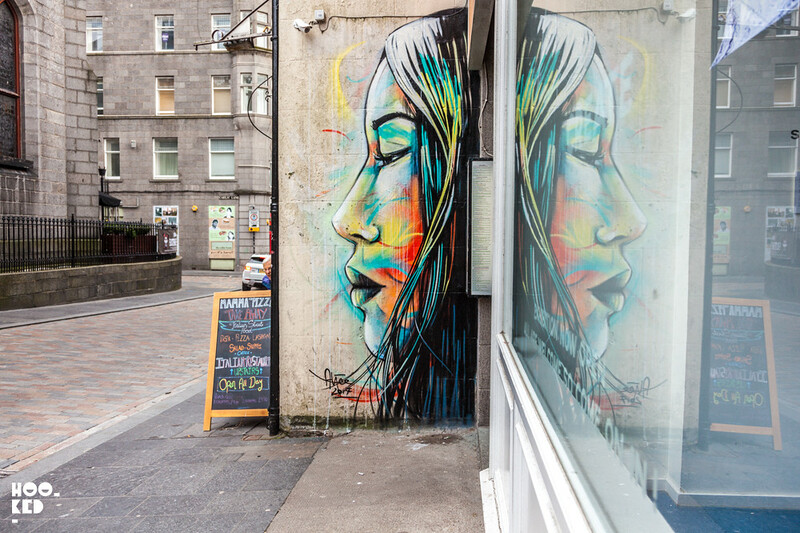 The completed mural work by Alice which is located on at number 17 Belmont Street — Aberdeen, Scotland. 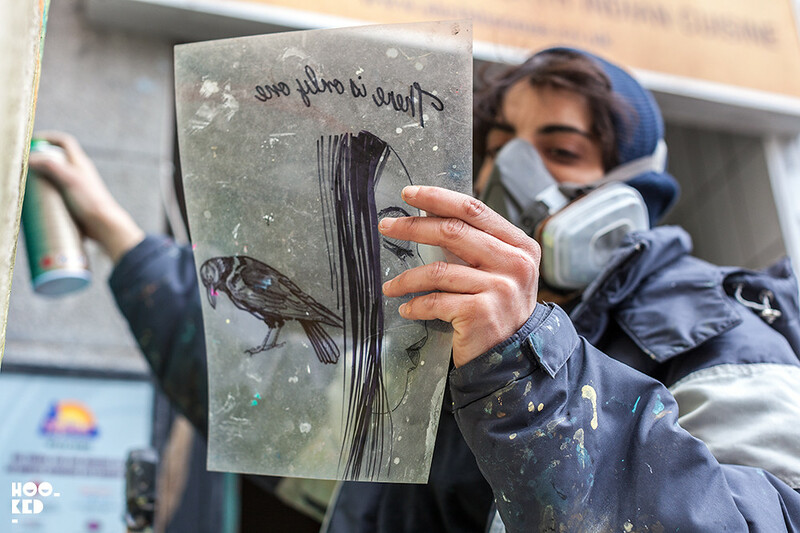 Miniature stencil works in London by Italian street artist Alice Pasquini. 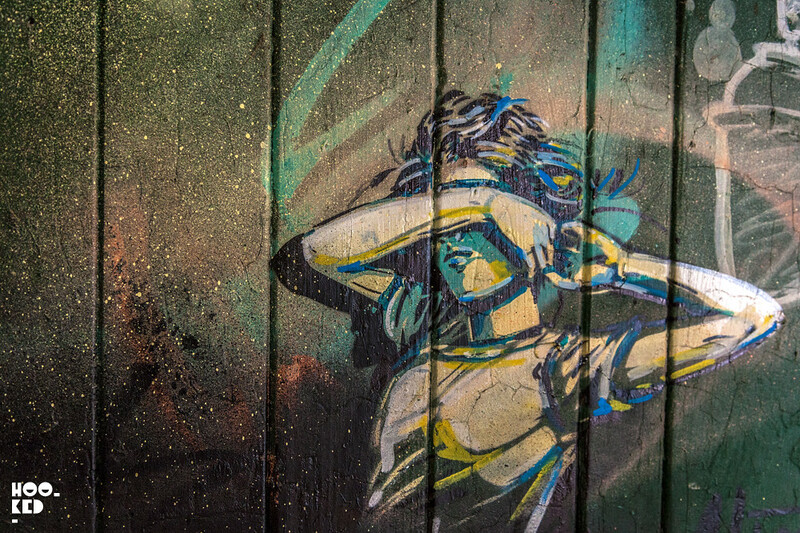 Stavanger, Norway: A Street Art Hot Spot. 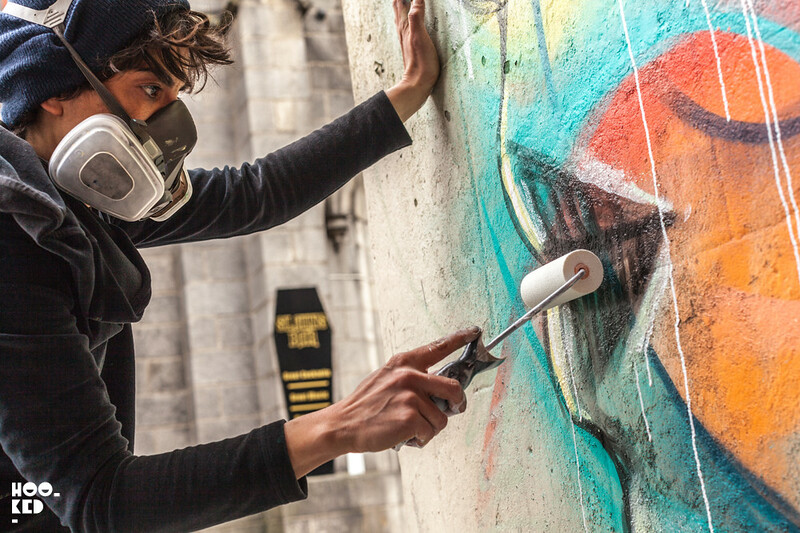 Norway's NuArt Festival And Why You Should Be Going.